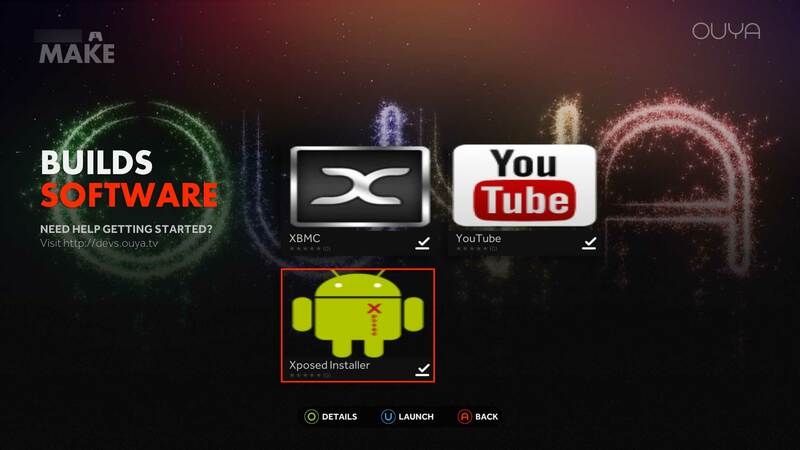 If you have stumbled onto this page because the xposed framework is what you need to root your Ouya and this page is here only for historial reasons. Click here for the updated documentation on rooting your Ouya. The Xposed installer is the first part of getting GooglePlay functional. Without the Xposed framework the Google Play network will act as if there is no internet. This framework does is to enable the Ouya to actually talk to Googles Authentication services. Launch the Application and click “Install/Update” and it will then ask for permission to install this as a super-user check the box for “always” and you can begin installing the Framework. 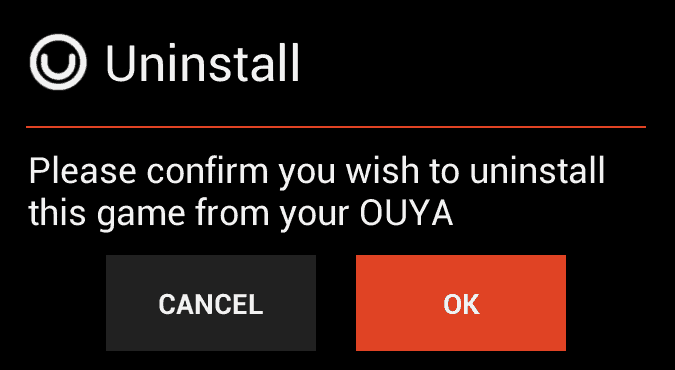 Afterwords you can scroll down to reboot your Ouya to begin installing the next APK which is critical for this. 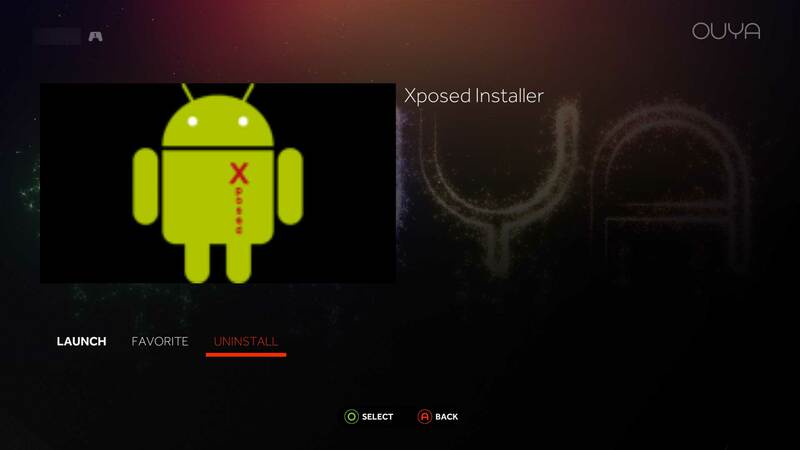 After you have rebooted your Ouya since you have already installed the Ouya Mod Collection, you will need to re-launch the Xposed Installer again and this time click on the Modules tab up above. Due to a glitch in the way it was programmed it does not clear the old text when switching between tabs which is problematic. However right next to the android icon near the top left-hand side of the screen you’ll see a check-box, simply take your mouse up to it and check the box to link the Ouya Mod Collection to the Xposed framework module. This is essential or else Google Play will not be able to talk to the internet through your Ouya. Removal of the Xposed Framework version v2.1.4 . Follow this if you wish to remove the old framework so that you can install the updated v2.5.1 framework mentioned in the root the Ouya article. Simply click on the Uninstall (restore app_process) . It will then confirm its action of uninstalling the old framework, hit OK to continue. Then click on Clean up (complete removal of the framework.) It will once again ask if you want to reboot which you click the OK.
After this you simply click the Reboot button in the lower right-hand corner and it will then reset your Ouya. The final cleanup of the old Xposed installer click on Make > Software and click on the old Xposed Installer.